Periodontal disease – more commonly known as gum disease – is a common condition that impacts many people in the U.S. 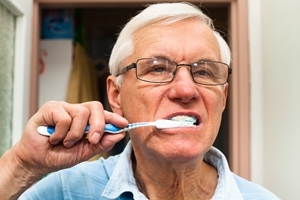 Characterized by swollen, inflamed gums, loose or sensitive teeth and painful chewing, gum disease typically shows up as people age, yet can result in serious long-term health issues. Recent studies have also found that gum disease may be linked to other conditions, including obesity and hormonal changes in the body. Can obesity affect gum health? Approximately one-third of the U.S. population is obese, and while this staggering statistic reveals the extent to which Americans across the country are susceptible to cardiovascular disease and other health conditions, a report issued in the clinical journal of the Academy of General Dentistry suggests that obesity may also increase the risk of gum disease. Led by Charlene Krejci, D.D.S., an associate clinical professor at the Case Western Reserve University School of Dental Medicine, the study links cytokines, which are proteins with inflammatory properties that are produced in abundance by those who are obese, to the development of gum disease. While additional research highlighting the connection between obesity and gum disease is still occurring, experts have weighed in on the matter in favor of Krejci’s findings. Gum disease may be linked to obesity, but a recent study also led by Krejci suggests that premenopausal and pregnant women may be more susceptible to gum disease than previously believed. The study, which was published in the May 2013 issue of Oral Health and Preventive Dentistry, found that hormonal changes may impact the growth of bacteria in women’s mouths and place them at greater risk of bone loss, gum disease, and other health problems, Krejci noted. After reviewing 61 articles and almost 100 articles, Krejci determined that hormones can play a significant role in the wellness of teeth and overall oral hygiene. Particularly, she stressed the importance of brushing and flossing teeth daily, especially during pregnancy or other periods where hormones can fluctuate. Do you feel that your gum health is on the decline? If so, it may be beneficial to consult with one of our cosmetic dentists who can give you new insight into what could be at the root of your dilemma. In addition to scheduling regular appointments, you can take your oral health into your own hands by choosing to follow a healthier lifestyle. According to Eating Well, simply changing up the foods that you consume could be enough to overcome the risks of gum disease – a condition that affects up to 50 percent of adults in the U.S. The news source recommends munching on snacks like raisins, which contain anti-inflammatory agents that can delay the spread of bacteria and infection, as well as green tea. You may also want to increase your intake of whole grains, since Eating Well notes that oatmeal, brown rice and other non-refined carbohydrates can be effective in lowering the risk of periodontal and cardiovascular disease.